We have to educate for value, not for tests. You can accelerate the change, here’s how. These are all verbs. It is not about what you have (money, or knowledge) or your title (status), it is how you use yourself as a tool to make things better. People who are valued, are people who do positive things. To use yourself as a tool, you have to first understand yourself and your strenghths. Value is very personal. Everybody is capable of having value for society, irrespective of your age, IQ, school grades, income, diplomas, location, race or religion. You can have value being a great hiphop dance choreographer, a smart carpenter, a rocket scientist, an organizer of inspiring events, or by being a caretaker for people in your community. Everybody has different skills, drives, talents and motivations – leading to a different unique and personal value. 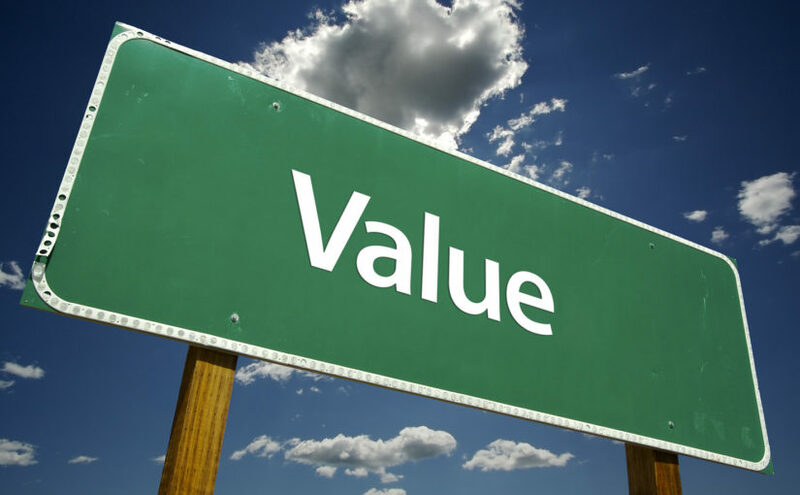 Over the past years we have become increasingly aware of the importance of finding and using our value, as well as an interesting multiplier effect: the more you are working in line with your talents and motivations, the more value, effect and success you have. Education should be about finding, developing, and learning how to use your own and unique value for society. In the industrial revolution (around 1800), society needed skilled workers. People who had value at that time, were people who were able to work in the factories, or have another role related to the industrialization of society. 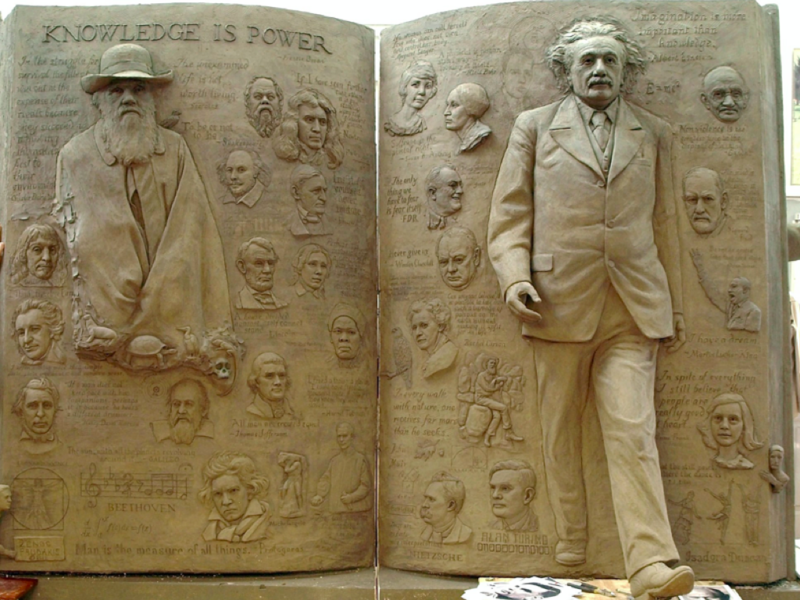 Knowledge was a scarcity and therefore, knowledge = power. Hierarchical systems were needed to supply knowledge and information to others (from superiors onto lower placed people, and from teachers onto pupils). Some people even talked (or still do) about the “application” of knowledge (in Dutch: “aanbrengen” van kennis). Around that time, the education methods and curricula that had existed on a small scale (mainly in religious and other elitist groups) were scaled to become the education system we know today: a system in which knowledge is supplied to children in an industrial way: every year something new; according to a standardized system. Ever since, we have become used to year classes, teaching or instruction as a means of knowledge acquisition, fixed curricula, and tests to check if the knowledge was applied in a proper way. A highly industrialized system. It worked amazingly well – looking at the huge amount of people which got an education and the massive growth in wealth. In the past decades, with institutions becoming bigger, stakeholders more powerful and education more important, we experienced an increasing need for quality control. For that reason, standardized tests were introduced; seemingly a great tool to assess quality of education and children in a neutral way. And because we are all in search of the best, we take great pride in, and put high importance on, the results of these tests. We, as parents, choose the right schools for our children based on these standardized testresults. 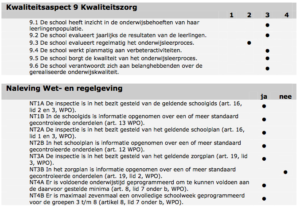 We look at the lists of good schools, which are ranked according to CITO results as well as the percentage repeaters (Dutch: zittenblijvers). 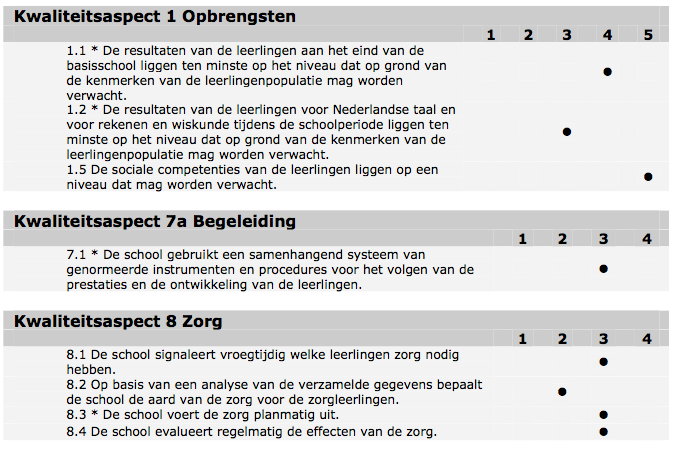 The education inspection in the Netherlands calls these the ‘revenues’ (Dutch: ‘opbrengsten’) of the school. What happens as a result is that standardized tests in the Netherlands, the US and many other countries, have become an ends (Dutch: doel) and are no longer a means (Dutch: middel). Schools put more and more emphasis on preparing for the tests; children who may not pass the tests are downgraded to a lower level (NL: from VWO to HAVO, HAVO to VMBO) instead of repeating a year. And because there is so much pressure on the results or revenues, we are increasingly anxious for what is going or may go wrong. Children are increasingly being labeled as having dyslexia, autism, ADHD and others. The ADHD kids are put on medication which is in fact a hard drug with serious consequences for the brain, just like any hard drug. See more about this in a previous posts about standardized tests and moulding people into a system. Everything is changing – but what type of change? In the meantime, the world has changed. Which is nothing new, because change in society is a given, but changes require to question your beliefs, systems and all other things we have gotten used to. There are many systems we need to re-think: energy, economy, consumption, growth, healthcare, rewards, etc. Better education will help to create the shifts in also the other systems. Of course, a lot has changed in school systems since 1800 – not fundamentally, but marginally. New subjects were introduced, all compulsory. In the Netherlands, things such as “Studiehuis”, “eerste fase”, “tweede fase”, methods, administration, “zorgsystemen” are sometimes driving educators completely crazy. And a lot of people in education became fully resistant to any further changes imposed from above. Why do we find these tests and lists so important? What do they measure: mastery of the subject – or the ability to pass the test? What does it mean if you score high or low on your standardized tests? What are skills required for having value in society? Why do we have year classes? Is that a natural way to group or was that simply what we got familiar with? Why do we find it completely normal that every child learns to walk at a different age, but when at school, every child has to learn to read at exactly the same moment, in exactly the same way – only based on his year class? Why is education only from 4-18 or 20-something (university)? Why not life long learning? Why not some time off working during ‘difficult’ teenage years? What is the value of knowledge when it is no longer a scarcity, but available one click away, any time, any place – and where new knowledge can travel across the globe in just seconds? Why do we put so much effort on school diploma’s? Because they really say something about your value, or simply because that is how it works nowadays? Why do we love learning before, outside of and after school, but school is simply not funny for most of us? What is the real value of a school or university? Is it the quality of the methods, or of the people (teachers, students)? The people we consider as true leaders – is that because they have incredible knowledge and did great on their exams, or because they have developed themselves as human beings in a meaningful way? Of all the things that made me successful or valuable today, where did I learn them? In school, before, outside of, or after school? Compared to 200 years ago, when the education system was scaled to cater for the masses, a lot more is known today about how people, of all ages, learn. We know now that everybody has a different learning style. That everybody is ready for new things at a different moment in time. That it is highly frustrating if things go too fast or too slow for you. That if you are not motivated to learn, you may be able to pass a test, but you won’t learn at all. That real learning is not about absorbing facts, but about reflecting on and struggling with the matter, making lots of mistakes. Learning by doing rather than learning by listening. And we have also started to understand that the things you learn at school may not for everybody be fully equal to the things that create value for society. For me, the most important insight is the following: before age 4, and after age 18 (or 20-something if you go to university); as well as in the non-school learning such as learning to play a musical instrument, or learning how to make jumps on your skateboard; you are seen as perfectly capable of directing your own learning. You decide what and how you learn. But at school, this is not possible. We know now that arts (music, dance, theater etc) and creativity should not be seen as ‘nice extras’ but truly contribute to better learning. Being able to express yourself is something not only useful if you want to become an actor – it is damn useful if you want to have an impact in working life. And creativity goes far beyond artistic creativity. We all need highly creative solutions to the world’s challenges. And creativity has so many angles. I am really really bad in design, drawing, singing and playing music. But I am highly creative in finding business and other solutions. Creativity, just like maths and languages, should not be seen as an ends or destination. They are all important means to have value in life. We also know now that children are perfectly capable of learning to read, write and calculate, also if it is not taught to them in a class. Just look at the average toddler or ‘digital native’ school kid: how they teach themselves so many things simply by playing with an iPad or computer games. Digital platforms can never fully replace meaningful human interaction but they surely do provide a lot of new ways of learning which were previously unthinkable. So many solutions – did you know? The great news is that very many solutions are already there. There are countless programmes, initiatives, schools and communities which have self-directed learning and learning how to develop your own value at their core. The craziest thing however is that “we“, being everyday people who don’t call themselves education innovation experts, have no idea. If you consider yourself an innovator, you may have heard of online platforms such as Coursera, Udacity, and Khan Academy. But how many people outside of the circle of education innovation experts have ever heard of Democratic or Sudbury schools, UnCollege, Atelier van Licht, your Motivation Pattern, UniQ, Knowmads, the Wittering school, Kunst voor Kanjer Kinderen, Galalion, iPopp, United World College? All of them are amazing and proven examples of education which facilitate self-directed learning and/or finding and developing your own value. And this is only a small, very small and pretty much random selection of what is already available ‘out there’. Ever since I started focusing on this field 4 months ago, I have seen a steady flow of people, initiatives, schools, programmes and other great solutions coming into my mailbox and social media channels. New solutions are popping up every single day. The issue is not íf there will be enough solutions. The issue is: are these solutions visible to those who should ask for them – parents and students? And can these solutions exist in a world where we as parents, politicians and other decision makers still mainly look at the lists and standardized test (CITO) scores? If you are interested and are looking for ways to develop yourself – how do you know they exist? 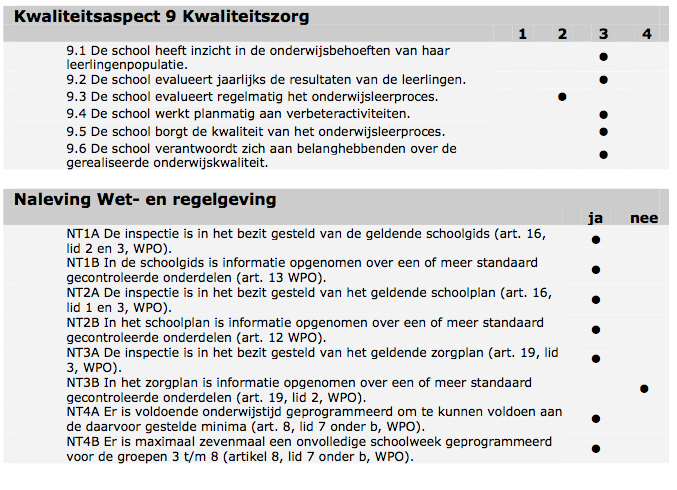 On a political level in the Netherlands, all (also the alternative) school types are forced to meet the criteria of the education inspection. Every school has to tick the same boxes, even if they are privately funded. Older ‘renewal’ school types such as Montessori or Dalton also need to meet all the criteria, drastically reducing their freedom to do what they want to do. Also ‘regular’ or ‘traditional’ school types who just want to do the things they believe in, have less freedom to do so because everybody has to meet the same criteria and offer the same subjects. Innovative school types such as democratic schools, which deliver happy children who know their value in society and how to use it, have to fight for their existence. Sudbury Schools are based on a strong pedagogical phylosophy that is evidence-based and out of those principles, do not tick all the boxes of the education inspection (and they argue that they do meet education laws). And thus they are being seen as ‘non-schools’, even though the inspectors, off the record, indicate that they are good schools and very impressed by what they see. The parents are being taken to court because they have their children on a ‘non-school’ and therefore don’t obey the law of compulsory education (in Dutch: leerplichtwet). I have personally attended such a court case and it was very interesting to be confronted with the huge gap in what we all feel is right and how the system still works. Other democratic schools such as De Ruimte are closely cooperating with the inspection and demonstrate that they, because of the way they work, can comply to existing framework, but it costs a lot of energy and effort from both the school and the inspection. All this energy should better be put into the school and the children. We need more freedom in education – so that everybody can find a type of education which is fit for their own needs, to develop their own value for society. To educate yourself for yóúr life, not for a life which was pre-defined by others. It is simply a matter of trust. Criteria and rules do not equal quality. Educators and schools need to be trusted that they ARE capable of developing children in a responsible and qualitative way. If we as voters, the electorate, don’t ask our politicians to change this, nothing is going to change. The problem is not only in the quality of teachers. It is not only in the education inspection. The problem is not ‘them’ – it’s us. In our professional lives (or maybe as part of our mid life crises) most of us have been through lots of personal development courses, trainings, coaching and we visited inspirational events such as TED. Although we may still on the journey to discover our true value in life ourselves, we are aware of the importance of it. But when it comes to choosing a school for our children, we still mainly choose one which is nearby, scores high on the list, has a relatively traditional regime, does “something with creativity” and which has a good standing amongst our peers. And the worst is: we are not even aware of the fact we are doing this. We need to be made aware. Because we have the power to change. Simply because we cán choose to put our children on a different school system. We can create demand for certain school types if they are not available in our villages yet. We can start our own schools. We can help to change existing schools. The great thing is that times are better than ever. Many people feel what I feel: we are in a transition towards a new era, with new value and new values. The internet, social media and the very many technology driven education platforms will massively disrupt the way educate ourselves and others. The change is already happening and unstoppable. The question is: can we accelerate this change and can we benefit from it in an early stage, and not fight it simply because we don’t know how to deal with it? The Netherlands is in a fantastic position. We can become THE leading example again in terms of how to do education right. So here’s what we need to do. We need massive action. From all levels in society. And we need YOU to do this. We, as parents and decision makers, need to first understand the issue. To question our current notion of school, to reflect on it. I am asking you to, from now on, talk about and discuss the single thing that touches everybody: the ‘why’ and ‘how’ of education. At every family reunion, during every conversation and discussion with friends, at the school yard, at the water cooler, anywhere. Organize not tupperware parties, but education parties. Let’s all get involved in the schools of our children. Don’t complain, but offer help and provide solutions. Your own knowledge and wisdom about your expertise area can be of great help for educating children as well. Let’s ask our politicians and school boards why these tests are so important, and why schools are tested in the way the education inspection is doing now. Let’s all write on our blogs, comment on articles in our daily newspapers or opinion magazines – especially when another ‘list of good schools’ is published again. Keep on asking the ‘why’ questions. And keep on pointing at possible solutions. And towards your children: look at what is inside of them and jointly discuss and decide how their own unique value can be maximized. What we also need to do is to put all these solutions in the spotlight. Schools and other educational institutions are not by nature good at doing marketing in the way candy bars, beers, and cars have learned to do in the past decades. But if advertising agencies are capable of marketing energy drinks to large audiences, they will also be able to touch people with an amazing message about something that really matters. I hereby ask every marketing and advertising agency in the Netherlands to do a “pro bono” project for education this year. TEDx talk on Sept 27th. Effect: > 6500 views, hundreds of personal reactions from various backgrounds. Bi-weekly meetings: bringing together people who want to ‘drink coffee’. Next edition on January 21st. Became the place for getting to know each other, sharing thoughts & creating actions. Operation Education Facebook page: reached > 6000 people in first week. Needs rework to really become impactful. Got deeper into this subject by visiting various schools, talking to many people, attending an education-related court case, reading a lot and lying awake at night thinking about how to approach this all. Got people involved who can use their influence: a.o. Leen Paape (Dean of Nijenrode), Pauline van der Meer Mohr (Head of Erasmus University), Tex Gunning (board of AkzoNobel), Katja Schuurman (TV celeb, Return to sender), Rob Wijnberg (former Editor-in-chief of nrc.next) and many many others. Next to organizing the event on March 2nd, I am working on a smart way to make all the “solutions” and “actions” visible. I called the movement “Operation Education”. Hundreds of people are already involved, thousands have already watched my TED talk, read my manifesto, have been reached through our Facebook and Twitter. And we’re only getting started! Mooi! Ik wil er graag bij zijn op 2 maart. In Kenia begreep ik dat onderwijs er is om wijsheid bij te brengen en niet kennis. Stephen Fry schreef in zijn autobiografie: “Education is the sum of what students teach each other in between lectures and seminars”. Operation Education gaat over een bewustzijnsshift die liefdevol iedereen mag raken die wakker wil worden in een diep geïndoctrineerde wereld. De afschaffing van de kinderarbeid heeft nooit plaats gevonden! Sterker nog; Deze is verlengd tot 23 jaar in een mensonterend systeem. Jonge mensen in de bloei van hun leven met de meeste energie, fantasie en wilsdrang, worden continu “voorbereid” op het leven (voor later als ze groot zijn)……..
De docent verteld hen hoe het zit en als ze dat netjes weten te reproduceren krijgen ze een 10. Als ze dat niet netjes weten te repoduceren komen ze in de problemen. Eigen”wijs”heid, je wil laten gelden en persoonlijke verantwoordelijkheid wordt hen ontnomen. De docenten op hun beurt zijn ook niet vrij, maar een doorgeefluik van wat onderwezen dient te worden. Zo raken ook zij uitgeput, of worden zij grote entertainers voor de klas om de kids te motiveren om mee te doen. Oh, wat kost hun dat veel energie. Als docenten en leerlingen niet binnen het “bedachte” scholingsformat kunnen functioneren dan worden ze gelabeld als zijnde dat er iets mis is met ze. Waardoor er weer allerhande nieuwe beroepen (therapieën)kunnen ontstaan. Het ergste is nog dat veel ouders niet weten dat het systeem de mensen ziek maakt, die vervolgens weer dure therapieën moeten volgen. Zo creëren we wel werkgelegenheid. Lang leve de verzorgingsstaat! Wisten jullie dat Nederland het dichts bevolkte coaches/therapeuten-land land ter wereld is? Hoe zou dat nou toch komen? Zie bovenstaand artikel niet als waarheid maar als prikkel om je weer vrij te voelen en je persoonlijke verantwoordelijkheid te nemen, voor dat gebied waar jij iets zou kunnen doen. Nee, ik geloof niet dat de ‘makers’ van het huidige educatie beleid slechte intenties zouden hebben bij hun werk, allemrinst. Ze proberen kinderen voor te bereiden op hùn toekomst en hun de tools daarvoor in handen te geven die ZIJ denken dat ze nodig hebben. Dank aan iedereen die hieraan bijdraagt! Diederik, dank voor je duidelijke en waardevolle comment. Wat heb je dit mooi geformuleerd! Zelf ben ik een laatbloeier (eh..onderwijs..hahaha) en zie mijn zoon ook ‘last’ hebben van het (NU) niet kunnen maken van een studiekeuze. Jouw formulering: ‘leerlingloze pad’ stelde me gerust.. Dylan hoeft nog maar een paar jaar te ‘kiezen volgens plan’ en dan is hij vrij.. Dat jij en Dylan en ik en alle andere jongeren, ouderen en alles wat daar tussenin bloeit onze passie mogen ontdekken en onze talenten mogen delen met elkaar. Im interested in about your topic. Als leerkracht op een Montessori school kan ik bovenstaand manifest alleen maar onderschrijven. Maria Montessori was de eerste die inzag dat je kinderen in hun eigen tempo moest laten leren. Als leidster observeer je de kinderen en met behulp van die observaties worden de kinderen begeleid in hun leerproces. Wanneer kinderen eenmaal in de gaten hebben hoe bijvoorbeeld tafels werken of hoe je een zin moet ontleden kunnen ze daar dagen of nog langer mee bezig zijn. Ze zitten dan in de zogenaamde ‘gevoelige periode”. Ze genieten van de nieuwe verworven leerstof en zijn trots op zichzelf dat ze het nu alleen kunnen. Montessori leert de kinderen te leren van hun fouten. En op deze manier is het niet erg op fouten te maken want tenslotte leer je van je fouten. Dit ervaar ik iedere dag weer in mijn groep. De Montessori visie is een prachtige visie die volledig aansluit op wat ik net heb gelezen. Helaas krijgen zowel de inspectie als de Cito steeds meer vat op deze onderwijsvorm. De inspectie verlangt dat we voldoen aan de kerndoelen die per jaar, tegenwoordig zelfs een aantal keren per jaar, getoetst moeten worden. En wanneer je als school daar niet aan voldoet, word je gekwalificeerd als een ‘SLECHTE” school. En kom je met naam en toenaam in de krant. Terwijl er niet gekeken wordt naar de inzet van een team en naar de manier waarop zij proberen tegemoet te komen aan de wijze van leren van de kinderen. We raken meer en meer verstrikt in de eisen van de overheid en verliezen onze identiteit als Montessori school. Een spagaat waarin we dagelijks geconfronteerd worden met onze maar ook met de frustraties van de kinderen. Graag werk ik mee aan dit initiatief. Een kijk op een wijze van leren die al een eeuw oud is en gelukkig niet verloren gaat. Ik heb een zoon van 9 met klassiek autisme en mogelijk een verstandelijke beperking. Autisme is geen defect, het is een ontwikkelingstoornis. Ontwikkeling is er, op het ene gebied wat sneller als op het andere gebied. Wij houden onze zoon nog steeds uit de leerplicht. Dat maakt dat wij zelf thuis met hem sinds 6 jaar een programma hebben kunnen draaien waarbinnen hij zich kan ontwikkelen. Onze zoon heeft vertrouwen gekregen in zichzelf en de wereld om hem heen. Dat heeft tot gevolg dat hij zich goed kan handhaven in de gezinssituatie en in allerlei sociale situaties. Ons thuisprogramma bevat geen testen maar ook geen vriendjes of vriendinnetjes van zijn leeftijd. Mijn zoon wil nu graag ook wel eens naar een echte school. Hij wil ook speelafspraakjes en naar feestjes toe, net als zijn zusje van 6. Dus wij aan de slag, zoeken naar een school. Wat betreft het systeem: het systeem wil graag dat wij onze zoon naar het bijzonder onderwijs sturen. Zijn laatste IQ score (DSM IV test) is 52,5. En daarmee hoort hij thuis in cluster 3 onderwijs. 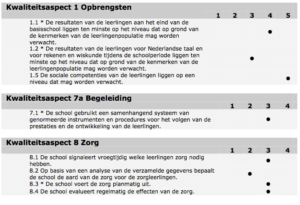 Maar gek genoeg kan hij uitstekend lezen, redelijk rekenen en schrijven. De DSM IV test is dus niet echt geschikt voor hem….zijn sensorische uitdaging zit ‘m in de weg bij het doen van de test. Het onderwijssysteem gebruikt testen om te meten welke onderwijsniveau een kind aankan. Wat als een kind niet testbaar is? Dan kun je eigenlijk nergens terecht. Sinds september van vorig jaar zit hij (bij wijze van spannend experiment voor hem en voor ons) op een hele fijne, reguliere basisschool De Ontdekkingsreis In Doorn (van Stg. Lerend Leven). Uitgangspunt van deze school is kort gezegd dat ieder kind zijn eigen leerproces heeft. De school perst het kind niet in een (cito)systeem, maar poogt dapper om het systeem rondom het kind te plooien. En het lukt ze in hoge mate. Het experiment loopt nog steeds. Dagelijks begeleidt iemand mijn zoon op school, alleen kan hij het (nog) niet. Hij vindt het erg leuk, soms ook moeilijk. Bijzonder onderwijs vind ik eigenlijk geen optie. Waarom zou je kinderen met dezelfde uitdagingen bij elkaar willen stoppen? Is het vanuit organisatieperspectief dan beter beheersbaar? Volgens mij is dat schijn. Alle kinderen, ook die met dezelfde uitdaging, leren immers op hun eigen manier. 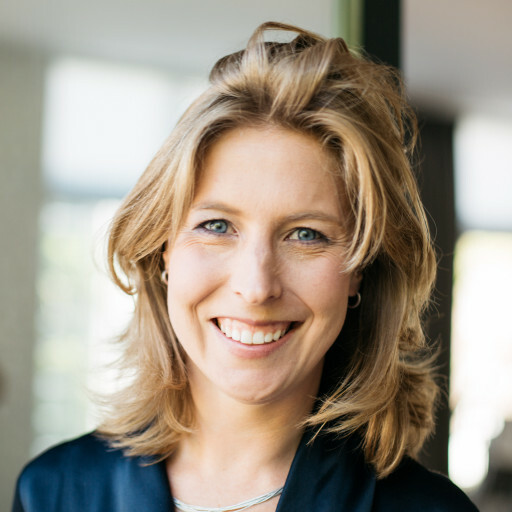 Als het gaat om value: ik vind dat alle kinderen met welke uitdagingen dan ook naar regulier onderwijs zouden moeten kunnen. n.b. Ik gebruik voor kinderen zonder specifieke uitdaging de term ‘regulier’ om het onderscheid in mijn verhaal te duiden. Het is niet mijn bedoeling om kinderen zonder specifieke uitdaging over een kam te scheren. Alle kinderen zijn uniek. ‘Reguliere’ kinderen leren dat er kinderen zijn met bepaalde uitdagingen en leren ook dat deze kinderen kwaliteiten hebben. Kinderen met uitdagingen leren op hun beurt erg veel van hun leeftijdsgenoten. In geval van onze zoon: hij leert op school van zijn klasgenootjes veel over contact maken met andere kinderen, vriendjes maken en vriendjes houden. Als alle kinderen met een uitdaging naar regulier onderwijs gaan, verloopt bij ‘reguliere’ kinderen de acceptatie van het ‘bijzondere’ aan een kind vanzelf. Het is geen issue meer. Het pesten op school wordt minder, verwacht ik: alle kinderen zijn op hun manier bijzonder. Wie valt er dan nog te pesten? En zou het quotum van Klijnsma voor werkgevers om mensen met een ‘beperking’ in dienst te nemen dan nog nodig zijn? Ik verwacht van niet. We weten dan niet beter dat er mensen zijn met een uitdaging en die helpen we vanzelfsprekend zoals we op school al gewend waren. Dat betekent dat het onderwijs zoals we dat nu hebben in Nederland anders georganiseerd moet worden. Een mooi initiatief, Claire. Ik steun het. Het commentaar van Leonie Schmidt kan ik geheel onderschrijven. Wat geldt voor het Montessorionderwijs, geldt ook voor het Vrije Schoolonderwijs. (eigenlijk al de “bijzondere”onderwijsvormen). Zelf heb ik vele jaren op de Vrije School les gegeven en zie de grondslagen steeds meer in het gedrang komen. Het is een heel “gevecht” om de uitgangspunten overeind te houden, vast te kunnen houden aan de grondbeginselen: een kind zó te begeleiden dat het kan worden wat het al is. De talenten te zien en te ontwikkelen, elk kind op zijn/ haar gebied. Niet alleen leren met het hoofd, maar ook met het hart en de handen! Heel veel succes met deze nieuwe uitdaging in je leven. Ik hoop op groot succes en dat de politiek hier wel op moet reageren! How can we contribute to the #operationEDU event on March 2nd? Reply via DM please. Here in Brasil, our problem seems to offer at the same time more difficulties and possibilities. For our school system is so poor that we must build (or re-build) it all from the beginning. Students are alphabetized, but can´t understand a text nor make a simple math equation. Universities are popping up all over, but people come out as ignorant as they went in – not only in means of knowledge, but mostly in means of thinking, understanding and creating. I have no kids yet, but this is an issue that really interests me, for I think that is how we here are going (hopefully) to form a new and better nation. So, I´d like to ask you if you know or have any information about better education systems here in Brasil. Have you heard about anything going on here? Besides that, I want to thank and wish you good luck on that path you chose, world can and will be better with people going throug life as you do. Previous Previous post: Facebook page live: Operation Education!